Jenny Hilborne is a native Brit, currently dividing her time between Southern California and her hometown of Swindon, England. With a background in real estate and the finance industry, she is the author of four published thrillers. 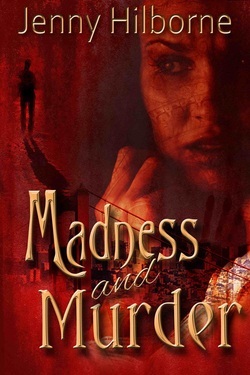 Her journey into professional writing began in 2010 with the publication of her first psychological thriller MADNESS AND MURDER, followed in 2011 by NO ALIBI. 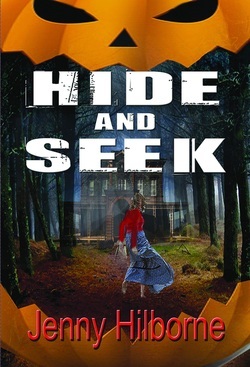 Her third thriller, HIDE AND SEEK, also set in San Francisco, was published in 2012. 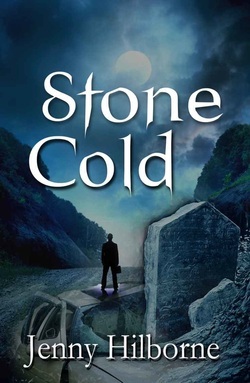 The latest release, STONE COLD, published March 2013, is set in the English Cotswolds. Jenny is an enthusiastic reader and enjoys writing reviews on a regular basis for the New York Journal of Books and Suspense Magazine. 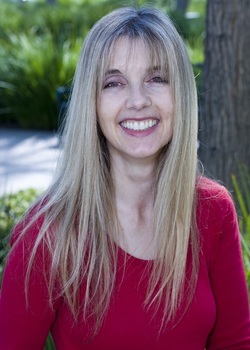 She is working on her 5th novel, a paranormal thriller set in San Francisco. When she is not writing, Jenny enjoys a good movie, meeting up with friends, attending book festivals, and the occasional trip to the beach. Jenny has been a regular attendee at the Southern California Writers Conference. In the competitive world of advertising, Charles Dean is a ruthless boss driven by results. When a scandal threatens to ruin his company, he is determined to identify the culprit and handle it his way. Mara Mann has other ideas, and her own reasons for bringing him down. Then the murders of two senior corporate executives stun the Oxfordshire community. Mara's hatred for Dean leads her into the dangerous and twisted world of Vice President, Reid Dalton, and to the discovery of a forgotten grave. As she uncovers more truths about her boss, and learns the secret he has kept hidden, she is drawn deeper into the mind of a killer and puts her own life at risk. Halloween. A group of friends gather at a mansion and decide to play a game. When one of them disappears and a large pool of blood is found on the grounds, San Francisco homicide inspector, Mac Jackson, is called out to investigate. Two days later, the body is discovered. As Jackson questions the guests, he uncovers old hostilities, secretive pasts, and the victim’s ties to another unusual death. At the center of it all is the lingerie bar, where the victim once worked. Are the girls in some sort of danger? Who is the thug with the scar? His best chance at solving the case hinges on an uncooperative source and Jackson must work fast, before it’s too late and his source disappears. Frustrated by the rising body count and lack of evidence, veteran homicide detective, Mac Jackson, questions his own ethics when he risks the life of an innocent young woman to trap a cunning and sadistic serial killer. Known for his uncanny precision with a hunch, he's all too aware that, this time, the stakes are much higher if his gamble fails to pay off. Jessica Croft, withdrawn, vulnerable, and emotionally scarred, moves from Sacramento to begin a new life in San Francisco with her twin brother, Judd. Ninety miles from the sinister, shameful secrets of her past, and the madness that tore their family apart, she hopes to find tranquility, maybe even love. However, her chance for happiness is short-lived when she suddenly finds herself the target of a relentless madman with a deadly agenda. Loath to continue living a life of fear, Jessica tells no one when she takes a bold risk to draw him out; dangerously unaware of the trap he has already set for her. Now nothing may be able to save her except the accuracy of a hunch. Isabelle Kingsley didn’t think her husband would ever cheat. Her husband didn’t think she would ever find out. Now he is missing, and his mistress is dead. 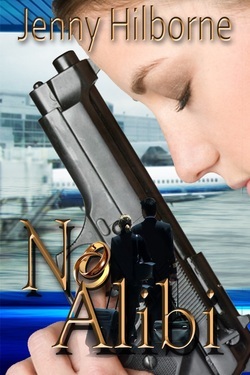 Suspected of killing her, Isabelle turns to her best friend, only to discover another betrayal. Is there no one she can trust? Homicide cop, John Doucette, is on the case. Something about Isabelle unnerves him. Could she be innocent? If she is, how did the murder weapon come to be in her possession? Someone from her past connects them; someone that Doucette does not want to face. Doucette must set aside his personal feelings and fears to work through the tangled web of deceit before the case goes cold and a killer goes free.